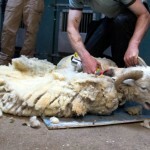 With warm summery weather on the horizon, it was time to get those fleeces off! 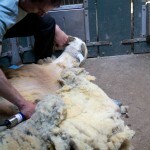 Derek the shearer was back on the farm last week with clippers ready to shear our flock. 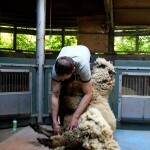 It was a busy day and he will be coming back to shear our llamas and one of our alpacas soon. 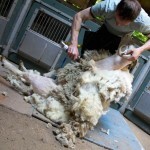 Shearing day was the hottest of the year (though we have since seen warmer temps!) 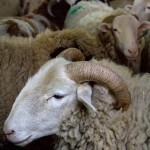 and our flock seem very happy to have those fleeces off their backs. 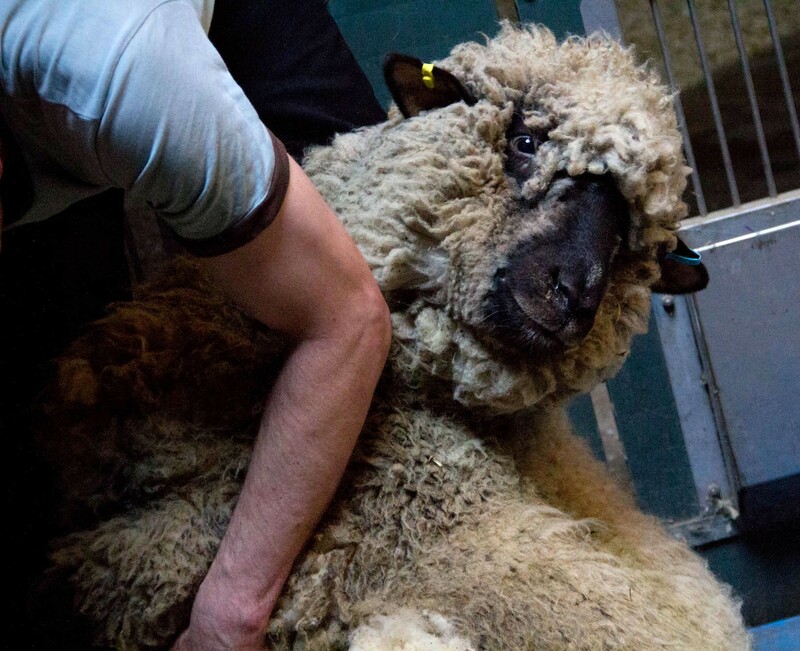 Bonnie looking quite pleased to be having her fleece trimmed. 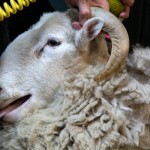 We started with the mothers as their lambs don’t like being separated for too long at this age. 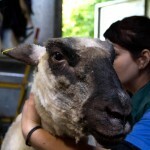 First up was our first ewe to lamb, the Oxford Down ewe Bonnie. Bonnie was an excellent model, sitting quietly throughout the shearing process. 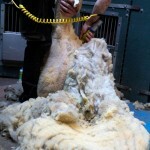 Her fleece was incredibly large and she must have been getting rather warm under all that wool. 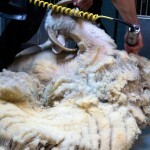 She’s a rather big girl, but much of that bulk was fleece as a slim and healthy ewe was revealed by the shears. 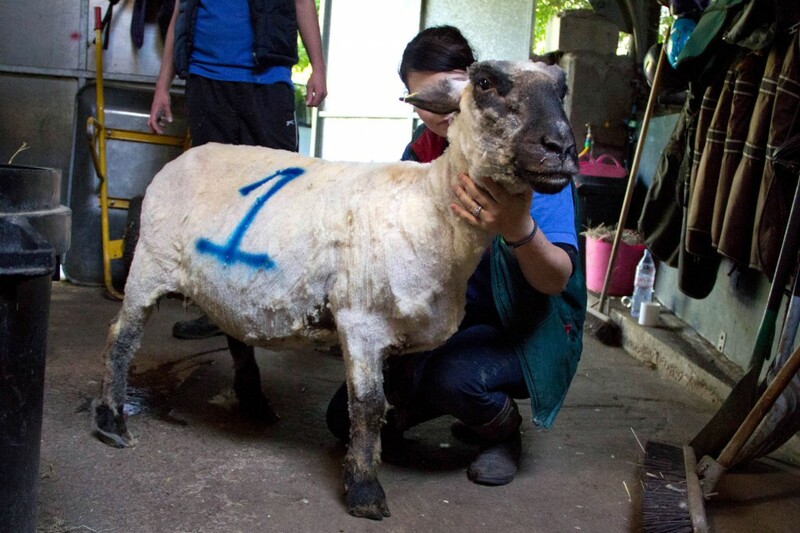 Bonnie after shearing and marked with the number 1 to match her lambs. 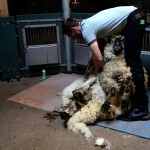 It was fascinating to see the ewes and lambs reunited after shearing. 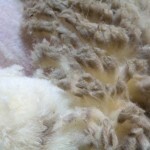 The lambs know their mother by voice, smell and appearance. However, they seem to rely heavily on sight. 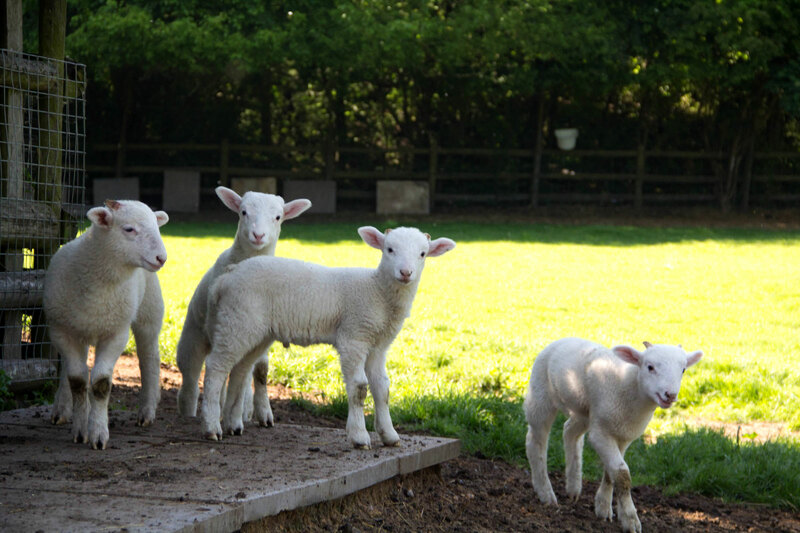 There were lots of baas and reassurances required when they first saw their shorn mothers with the little ones looking puzzled. That sounds like my mum, but my mum is woolier than her! The hesitation didn’t last long though. 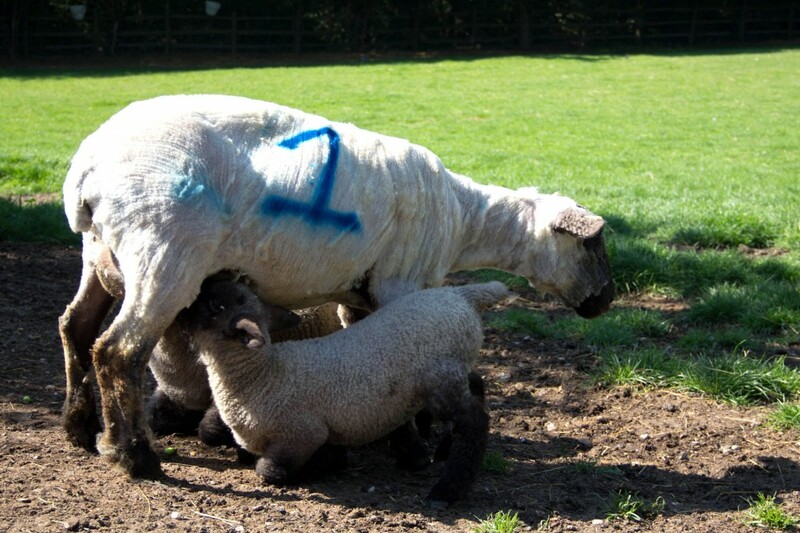 Bonnie reunited with her twin lambs. 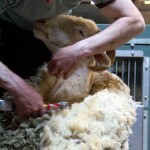 The lambs wait for their mothers to be shorn. 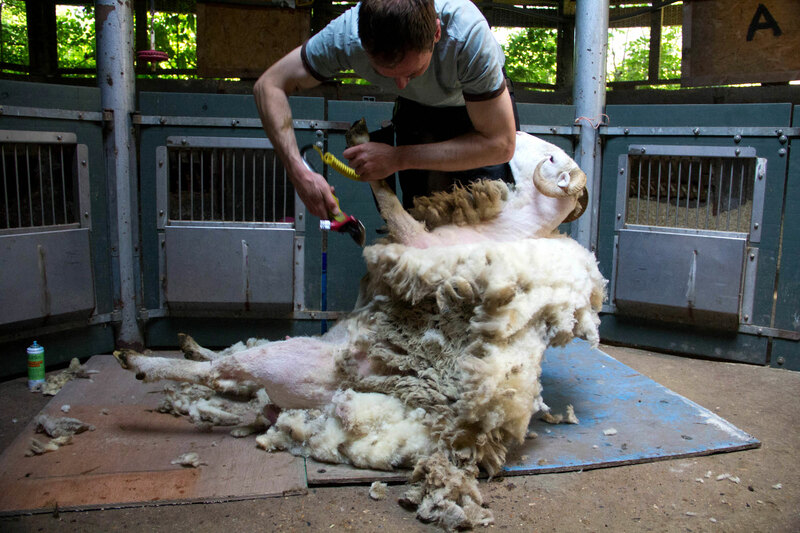 You can find more photos of the first part of our shearing below and we hope you’ll agree our sheep are looking lovely with their new trims. They certainly feel better for it in this heat. 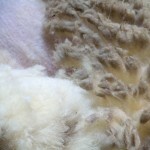 We sell their rare breed fleeces to handspinners and we do have a number of fleeces and alpaca fibre available. 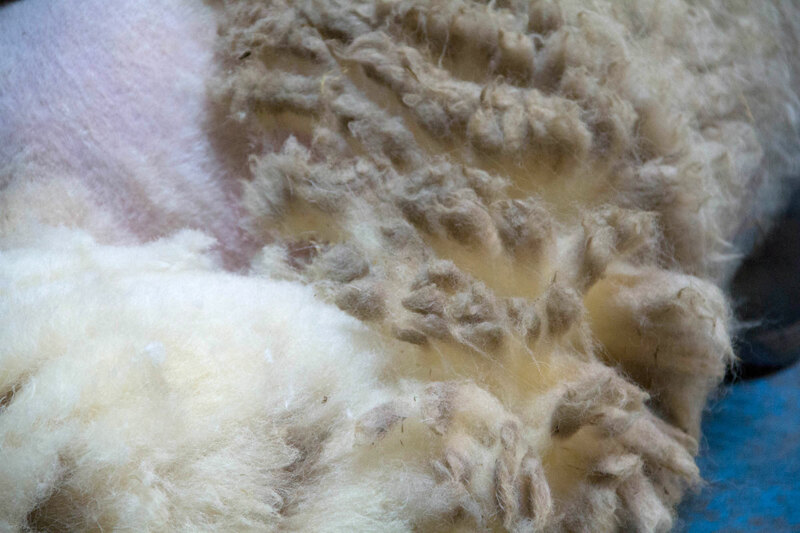 The fleeces are sold “raw”, just as they come off the sheep and full of lanolin. 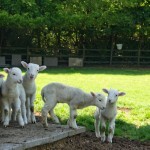 You can find out more about them here and by email to farm_office@mudchute.org.